Welcome to the Greater Manchester Community Energy Pledge website. These pages will introduce you to the opportunities to learn about community energy and become a member of a community energy organisation near to where you live, to answer any questions you have about buying shares in a community energy project, and to sign the Pledge to support community energy across Greater Manchester. Over the last five years, over 5,000 community groups across the UK have set up their own renewable energy projects. These groups are motivated by a desire to tackle climate change, generate their own clean energy and to keep the ownership and value of that energy within the local community for the benefit of the people who need it most, using local companies to carry out the work. This website has been set up by Greater Manchester Community Renewables on behalf of all of the community energy organisations across Greater Manchester. Some of these have launched share issues and anyone interested in becoming a member of their local community energy society can find details of projects on the ‘Find your local project’ page. 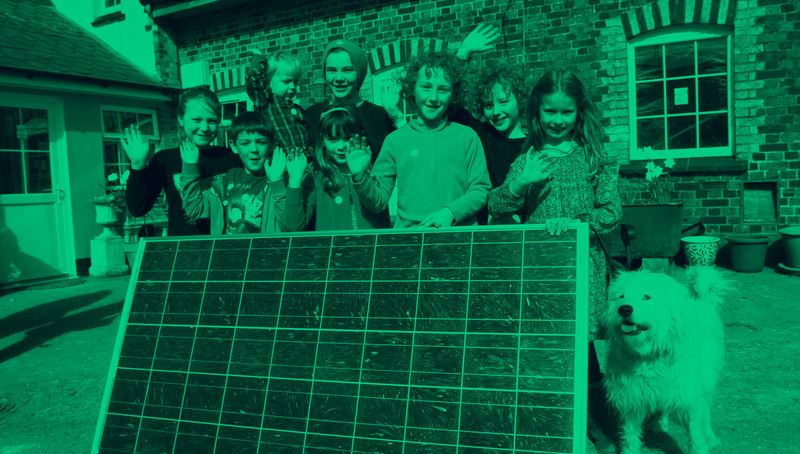 Once you have learned about community energy, and found your local project, why not sign the pledge which will enable you to receive news and updates as they happen on all of the exciting community energy activities going on across Greater Manchester. In other countries, it is completely normal for community groups to own energy generating and distribution infrastructure. Local people want to secure for themselves the benefits of their local energy resources, to prevent them from being exploited by large corporations which do not feed back any value from these resources to the local community. In Germany for example, well over half of all renewable energy generating infrastructure is owned and operated by community groups. Here in the UK, the proportion is much smaller, but has grown rapidly over recent years and community energy is becoming one of the success stories of modern times, with millions of pounds invested in projects across the country. Greater Manchester, the birthplace of the Industrial Revolution, currently has a number of exciting new community energy projects under development right across the city region, and many of these are now offering the chance to local residents to become members and get involved. You can find details of schemes local to you on the “Find your local project” page. Below is a summary of community energy projects going on across Greater Manchester. Please click on the logo to visit the individual project websites, where you will find all of the details of the project, plus information on current and future share issues and how you can become a member. 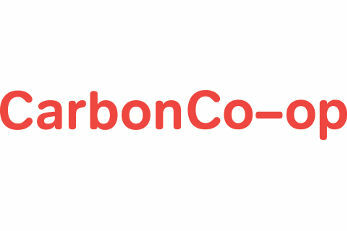 Biomass Energy Co-op is looking for people to get involved in their project which will achieve exciting advances in a new green technology for the UK market. With your help, BEC plans to provide biomass energy solutions that promote the sustainable use of waste products for heat and micro-power generation. Established in 2008 and incorporated in 2011, we are a group of Greater Manchester residents who’ve begun to carry out changes in our own houses and communities, we’ve teamed up with housing specialists to look at what more we can do where we live. As a co-operative, a community benefit society, our organisation is owned and run by the householders who make up its members, we have no external shareholders or owners making profits, all resources are kept within the co-operative. Greater Manchester Community Renewables was formed in January 2015 to help more schools and community groups generate clean energy, save money on their bills, and reap the educational benefits of installing solar panels. We have installed solar PV systems on three schools in Salford and a community building in Trafford, as well as creating links between existing community energy projects and helping new ones to get off the ground. Moss Community Energy was formed in late 2014 following test drilling for fracking at Barton Moss. The group was originally formed by people from Irlam, Cadishead and Eccles, but is now open to people from across Salford. We have collaborated with Greater Manchester Community Renewables to install a solar PV system on Fiddlers Lane Primary School in Salford. Profits from our projects will be spent on work on education, climate change and fuel poverty. Oldham Community Power are working with Oldham Council to install solar panels on the roofs of schools and community centres and have so far installed around 200kW on five schools and one community centre. A key part of our mission is to make sure that Oldham’s young people have the opportunity to get involved in this exciting sector, and that low income families can also get involved in share ownership and membership of our society. SHARE OFFER NOW OPEN! Closes September 2018, last chance to become a member! St John’s Sunshine is a voluntary community group, we’re also a business, and we’re a kind of co-operative too, all rolled into one. Our unique enterprise is generating green electricity to benefit the people in the area. 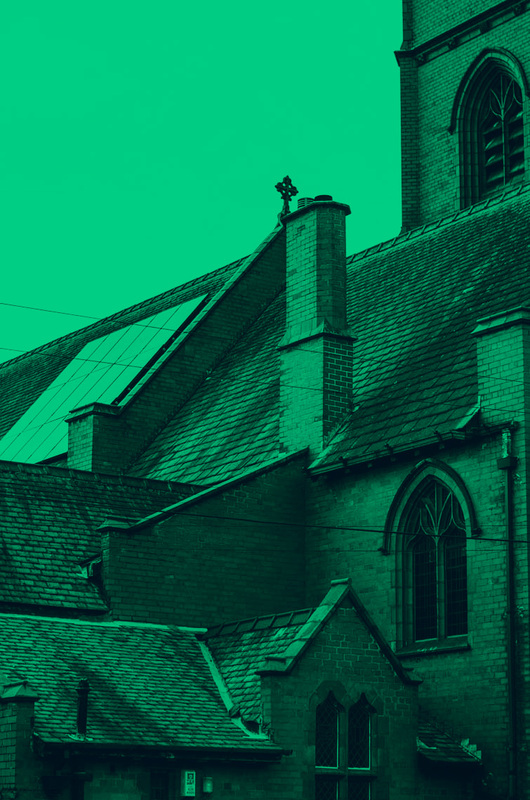 The solar electricity generated helps power the St John’s Centre, a really busy community centre in Old Trafford and most of the money from the electricity generated (Feed in Tariff) helps support local community and environment projects via Sunshine Grants. The TreeStation acts as a hub for a broad range of wood related activities in Manchester. It is led by strong ethics, and sustainability is embedded in the aims of the company. Our mission is to “make wood work”! Why not sign the community energy pledge? All you have to do is provide your name, email address and postcode, and we will send you news and updates on all of the exciting projects going on around Greater Manchester. It will also help us to demonstrate to the ten Local Authorities in Greater Manchester that people want to see more community energy projects, which will help us to engage them in new partnerships to make the most of local resources and make sure that they are used to benefit local communities. Please help us spread the word about community energy by sharing this Pledge website with your friends and colleagues, and on social media. Are community energy organisations regulated? No. If a community energy organisation registers as a community benefit society, then its Rules will be checked to make sure they are appropriate to be registered as a society. Once registered, a community benefit societies must submit their accounts to the Financial Conduct Authority on an annual basis. There are strict regulations relating to offering shares to the public. Community benefit societies with withdrawable and not transferable shares can be exempt from these regulations. The Community Shares Unit has developed the Community Shares Standard Mark, which is awarded to share offers which meet national standards of best practice. It is not a regulatory requirement. Have a look at the share offer for the project you are interested in. If I become a member of a community energy organisation, is my investment at risk? Yes – your capital is at risk and you could lose some or all the money you invest. Before investing in any community energy project you should read the organisation’s Share Offer fully, weigh up the risks and benefits, and not invest more than you could afford to lose. Can I withdraw my share capital at any time, or do I have to leave it in for the duration of the project? You should assume that you need to leave it in for the duration of the project. Check the Share Offer document and Rules of the project you are interested in for how long this will be and whether there are opportunities to withdraw your shares early. Could I become a Director of my local community energy organisation? Any member investor can in theory put themselves forward to sit on the Board of the Society. Directors are elected by members, usually at the Annual General Meeting. Directors are however usually chosen for their particular skills or knowledge which is needed in the running of the Society. Directors should act at all times in the best interest of the Society. How is a community benefit fund allocated? Allocation of the community benefit fund usually requires a vote of the Members of the Society. The Members may give the Directors of a community energy the authority to allocate the community benefit fund generated, often via a panel of Members to receive proposals from the community and oversee the distribution of funds. Getting involved on this panel is one way that Members of a community energy organisation can help with the running of the society. Does the UK Government support community energy? The UK Government has signalled its desire to support the development of the community energy sector, and in 2014 published a Community Energy Strategy, which can be found here. The Government also provides financial support for community energy groups via the Urban and Rural Community Energy Funds, and the Department of Energy and Climate Change has provided Greater Manchester with a grant to support this Community Energy Pledge campaign. How are community energy organisations structured? Community energy organisations are typically set up as a Community Benefit Society, which means that they are non-profit making in the traditional sense and cannot distribute profits to members of the Society. Instead, members are paid interest on their investment, the rate of which is set by the Board of the society. How do community energy organisations benefit the community? As well as interest paid to community investors, community energy projects typically return value to local people through the generation of a ‘community benefit fund’ if there is enough surplus profit, and often reduce the energy costs of buildings belonging to the community to make them more sustainable and manageable in the longer term. Many community energy projects (such as Oldham Community Power) also offer educational and training opportunities for young people around renewable energy and climate change, and provide a focus for community initiatives to tackle fuel poverty and other environmental issues. What role do members play in community energy organisations? Becoming a member of your local community energy organisation is not simply about making a financial investment which will give you a return – it’s much more than that. It means supporting an organisation which aims to benefit society in a much broader way, motivated not by profit but by a desire to increase quality of life and safeguard the environment for the next generation. Members of community energy organisations are not just shareholders – they can get involved in the running of the project as little or as much as they like. The Directors of a Community Benefit Society are generally drawn from the members and elected by the membership, although for some Societies it is also possible for the Board to co-opt non members. Occasionally a local authority will also hold a seat on the Board, if the project includes local authority properties. Are community energy projects generally similar in terms of making an investment and becoming a member? No – community energy projects are all different, and you should only consider becoming a member investor after thoroughly reading an organisation’s share offer document. These Frequently Asked Questions are a general guide only and you should only rely on official share offer documents for accurate information about a particular organisation’s scheme. Website administered by Greater Manchester Community Renewables Ltd.